The purpose of the present study is to examine the racial disparities of offending within the context of self-control theory. The study utilized data from the National Longitudinal Survey of Youth (NLSY79), to examine this effect. All concepts within self-control theory are examined: parental management, low self-control, and delinquency. Results from the study show partial support for Gottfredson and Hirschi’s (1990) self-control theory. The structure of the theory remained stable when controlling for both race, as well as peer pressure. Both theoretical and policy implications are given. Giever, D. M. (1995). 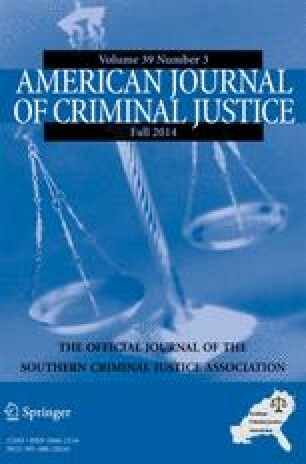 An empirical assessment of the core elements of Gottfredson and Hirschi’s general theory of crime. Indiana University of Pennsylvania). ProQuest Dissertations and Theses (pp. 174–174). Retrieved from http://search.proquest.com/docview/304246364?accountid=11652. (304246364).